Stored in slip. Maintenance and manuals included. Just hauled in May 2018 and paint oil changed, lots of extras. This is a must-see boat! Sweet unit that will not last long! Please make an inquiry or call for more information, to set a showing or make an offer! 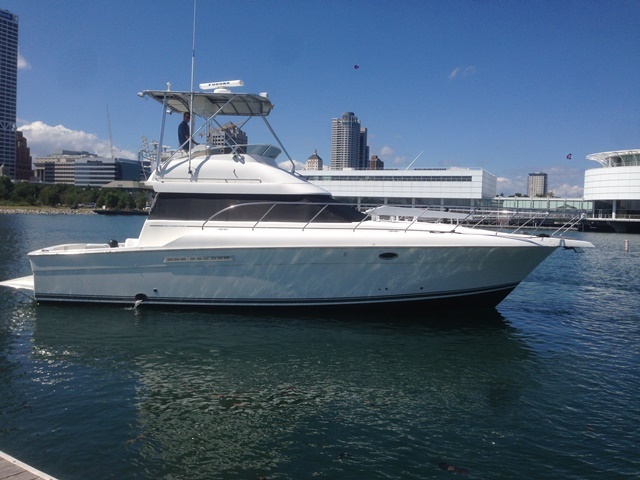 Stock #162470 Beautiful and Very Well Equipped Motor Yacht! Let the adventures begin! 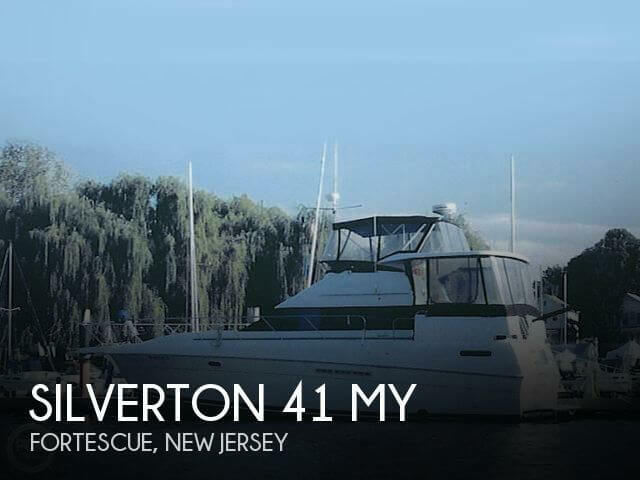 If you are in the market for a motoryacht, look no further than this 1995 Silverton 41 Convertible, just reduced to $78,500 (offers encouraged). This vessel is located in Lottsburg, Virginia and is in great condition. She is also equipped with twin Caterpillar engines that have 1,000 hours. Reason for selling is downsizing. Mechanically she is Extremely clean and well taken care of and from the pictures, you can see she is kept clean and being cleaned as the pictures were taken so anything that looked slightly dirty when the pictures were taken will be clean by the time the boat is shown. Stock #092561 "Rising Star" is ready to cruise! 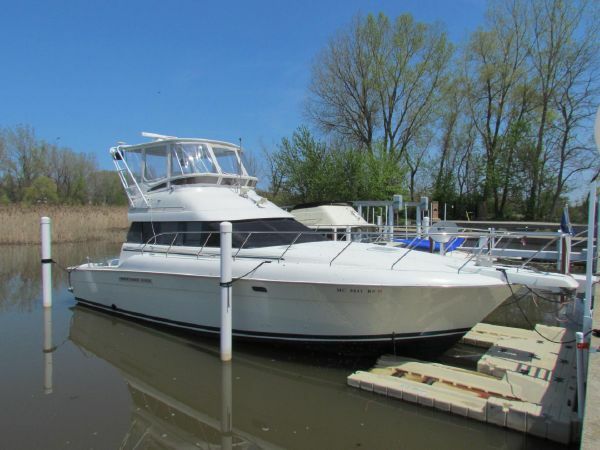 If you are in the market for a sportfish/convertible boat, look no further than this 1993 Silverton 41C, just reduced to $59,699 (offers encouraged). This vessel is located in Bay Shore, New York. She is also equipped with twin Crusader engines that have 990 hours. Reason for selling is does not use it enough!. A solid 8.5+ out of 10 reported condition - With the starboard engine being very new (2010), the entire boat is kept in top condition, and the MANY upgrades -- You won't find many comps from this year that are this attractive. Seller is Motivated - ALL reasonable offers will be considered! Stock #091118 *****Fall 2016 update -- BRAND NEW Sunbrella Canvas and Eisenglass enclosure package! 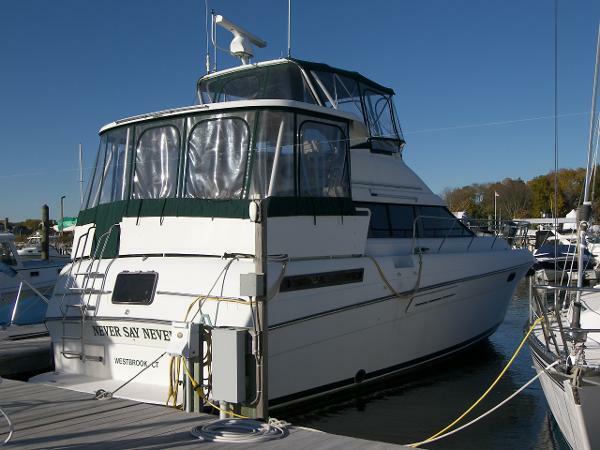 ***** If you are in the market for a motoryacht, look no further than this 1995 Silverton 41 Motoryacht, just reduced to $129,995 (offers encouraged). 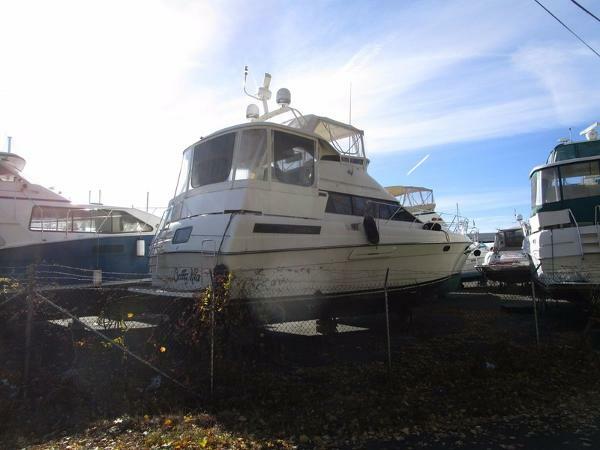 This vessel is located in Portland, Connecticut and is in great condition. She is also equipped with twin Cummins engines that have only 202 hours. 1999 Silverton 41 Convertible The CERES is a 1999 Model Silverton 41 Convertible that is powered by the optional CATERPILLAR 3126 TA diesels that are rated at 420 HP. This model was produced by Silverton Yachts from 1991 through 1999; it is only rarely available with "diesel power" vis the standard big-block gas engines. The CERES has been well-maintained overall and with nice upgrades to her interior decor & furnishings within the past few years. "Clean & neat" are appliable terms to describe her. The starboard engine was just rebuilt in the Fall of 2016 and it has all of 3-5 hours on it to date! The FB Enclosue is in excellenjt condition as are the rest of the CERES' options and gear. 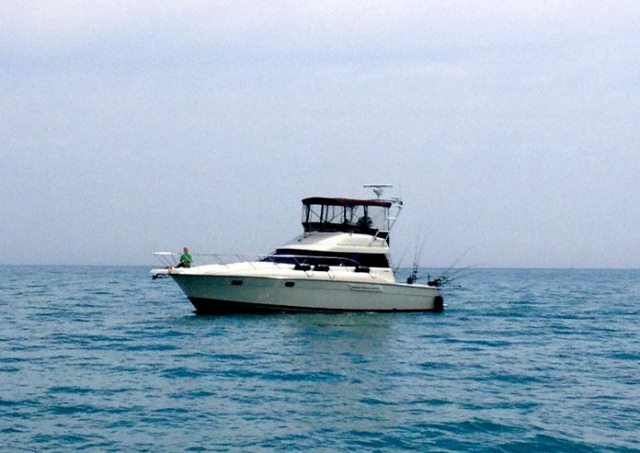 The CERES is offered for brokerage sale as her Owner is looking to "move up" to a larger boat. In full commission and located here at our Brewer Yacht Haven Marina in Stamford, she "shows well" and appointments for viewings are certainly encouraged. 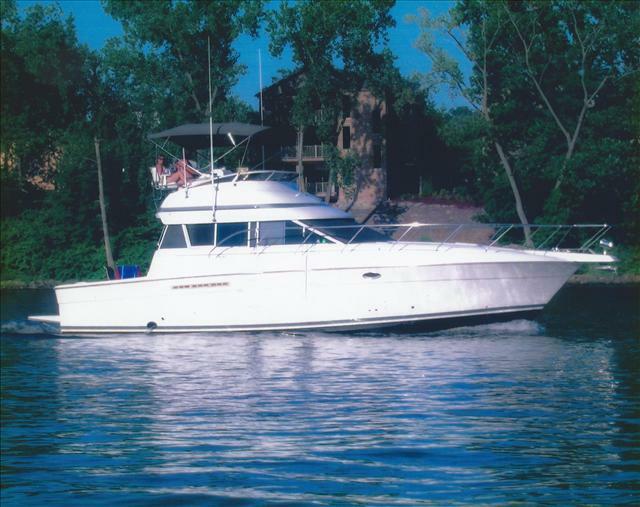 1998 Silverton 41 Convertible, This is a clean, freshwater boat that's always been used on Pittsburgh's waterways. It's professionally maintained and the owner is a certified captain who is very particular with the maintenance of his boat. This is a great boat and a must see! F.C.M. 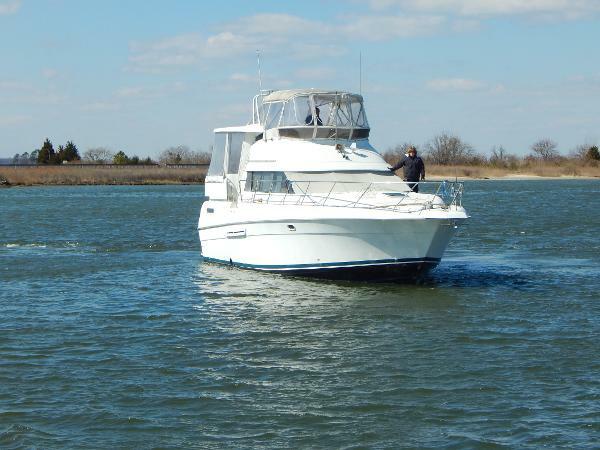 is the largest independent boat dealer/broker in the tri-state area with over 25 years of experience. We feature a huge ship store and a full service facility with the most up-to-date equipment. Let us help you get into the perfect boat and be there for you every step of the way! 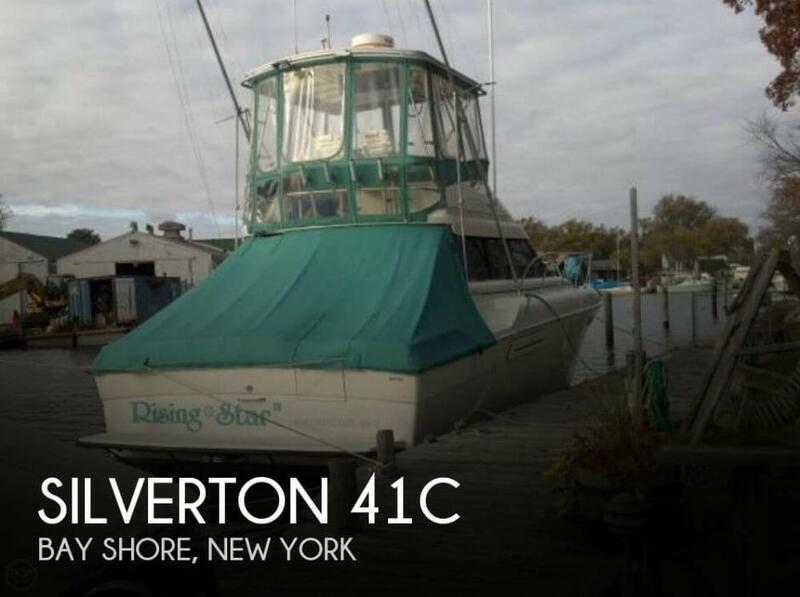 1991 Silverton 41 MY, Looking for a great weekend home? Look no further than this 41 Silverton. There are only 450 engine hours and the cabins and salon are in like new condition. Always stored indoors and well maintained. Come see your new lake house today. 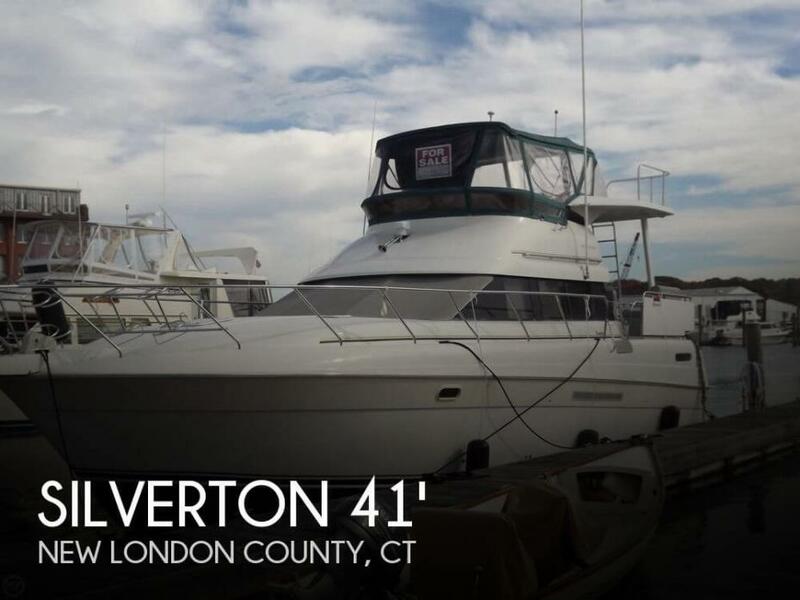 1998 Silverton 41 Convertible has done several cosmetic changes to the interior of the boat including: 3 new Ethan Allen swivel chairs, custom interior refinishing, custom quartz counter-tops, customer LED lighting, custom mahogany counter-top mount, new valences and curtains, complete 2015 interior shampoo, and the exterior is excellent. Powered by twin 515HP gas engines with under 700 hours and priced to sell! Call Skipper Bud's today to make an appointment to see the perfect floating summer home today. Trades considered. 1994 Silverton 41 Motor Yacht SHE IS A "SILVERTON" THIS YACHT IS THE ROOMY "41 MOTOR YACHT" PROUDLY BUILT BY SILVERTON MARINE. SHE IS POWERED BY TWIN CATERPILLAR FRESH WATER COOLED 3116 CATS WITH ONLY 1100 HOURS AND SHE HAS 350 H.P. EACH. THIS BOAT IS NICELY EQUIPPED WITH AIR CONDITIONING, REVERSE CYCLE HEAT, GENERATOR, ELECTRONICS, COMPLETELY EQUIPPED GALLEY, FULL ENCLOSURE ON THE BRIDGE, AFT HARDTOP WITH FULL ENCLOSURE. SWIM PLATFORM, DECK CARPETING, DOCKSIDE WATER, DVD PLAYER, TELEVISION, AM FM CD PLAYER, SPARE PROPS AND SO MUCH MORE. 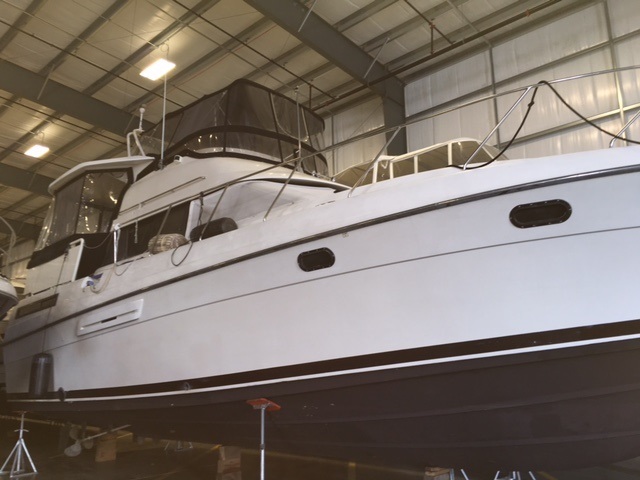 THIS BOAT HAS DIESEL POWER THAT RUN GREAT BUT THE INTERIOR AND EXTERIOR NEED A PERSON THAT CAN FIX UP THE INTERIOR AND EXTERIOR. SHE HAS NEVER BEEN DAMAGED IN ANY WAY BUT SHE WAS NOT TAKEN CARE OF BY A PERSON THAT LIVED ON THE BOAT. SHE IS DRASTICALLY REDUCED AT UNDER WHOLESALE FOR A FANTASTIC OPPORTUNITY FOR SOMEONE TO WORK ON. 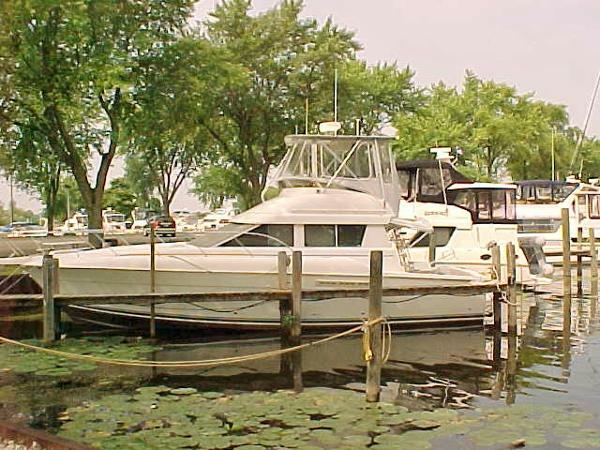 SHE IS A REAL BUY AND HER NEW OWNER(S) CAN TAKE HER OUT ON THE WATER AND ENJOY HER WHILE REPAIRING HER. Conservative styling and impressive list of standard equipment is what Silverton is all about. She rides on a solid fiberglass hull with a very wide beam, moderate transom deadrise and a shallow keel. The two stateroom interior is impressively large with plenty of room for entertaining. An L shaped sofa and built in entertainment center are found in the salon and both staterooms are fitted with walk around double berths. Hatches in the salon sole provide access to a large and well arranged engine room. The full width aft deck of the Silverton is very spacious and came with a wet bar and hardtop as standard. 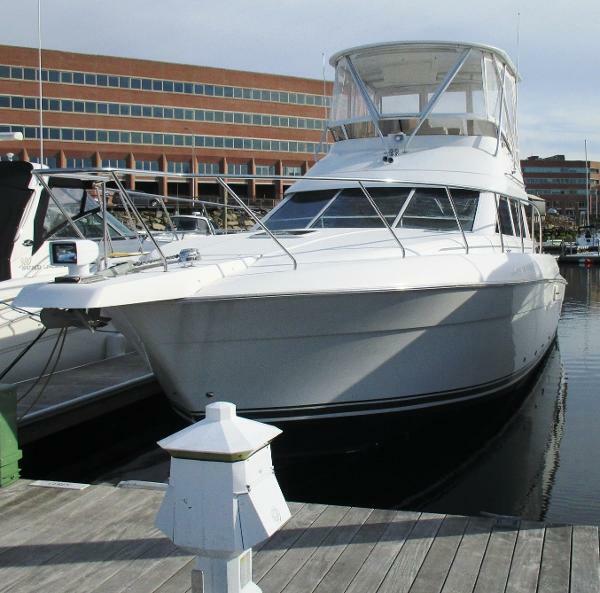 The flybridge is very large with plenty of room for 6 adults or more. Additional features include side hull exhausts, a molded bow pulpit and a radar arch. THIS BOAT COMES WITH OUR EXCLUSIVE DELIVERY PACKAGE THAT CONSIST OF A THOROUGH CLEANING, SEA TOW PACKAGE, CAPTAINS TRAINING, STORAGE FOR DELIVERY AND A HUGE DISCOUNT ON A BOAT SLIP IN OUR MARINA. THIS IS ALL COMPLIMENTARY. CLICK ONTO FULL SPECS FOR PICTURES AND INFORMATION.